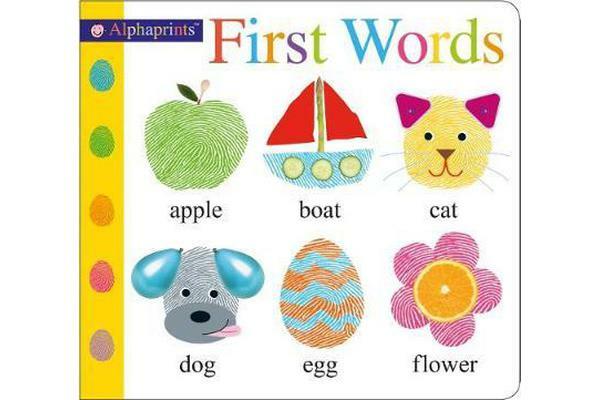 A first words book separated into themes. 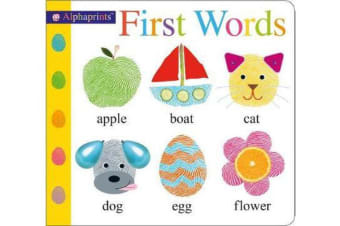 The Alphaprints artwork makes this early learning book refreshingly different. Each fingerprint is embossed, making this book both a visual and tactile experience that babies and toddlers will want to repeat.